Did you know that it is possible for your teeth to endure a lifetime? Although dental equipment has improved over the years, there is no substitute for your original teeth. One way insure your teeth last as long you do is by avoiding periodontal disease – otherwise known as gum disease. Our Placerville family dentists are here to help! Gum disease should be addressed without delay. Utilizing the latest in dental technology, we can help reverse the damage of gum disease by means of specialized cleaning and medication. 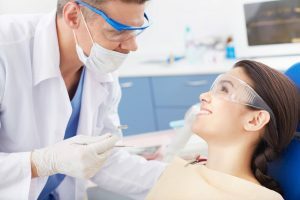 Learn more about gum disease including how to treat and prevent it in this section of our website. To schedule a free gum disease consultation, contact our friendly team of dental professionals by calling 530-295-8000.